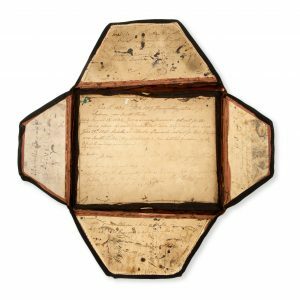 Writing case belonging to Mabella Beswicke (Mayall), wife of Port Phillip pioneer Charles Beswicke of Moodie Yallo Station. 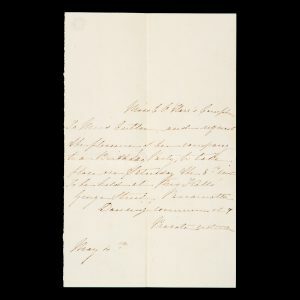 Autograph letter signed by Joseph Orton to the secretaries of the Wesleyan Missionary Society concerning a plan proposed by the merchant Samuel Henry to improve contact between missionary stations in the South Seas, 1832. 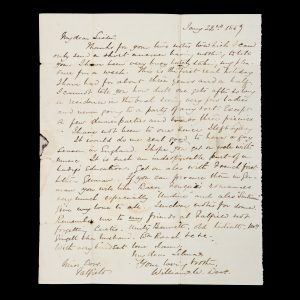 Two letters addressed to Benjamin Hurst, Wesleyan minister at Goulburn, New South Wales, from fellow ministers James Somerville (Braidwood) and Benjamin Chapman (Sydney). 1853-54. 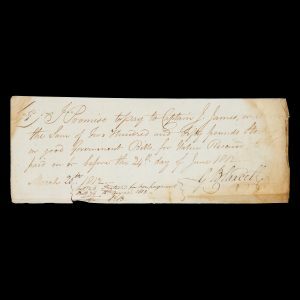 Promissory note, dishonoured, signed by Garnham Blaxcell to Captain Joseph James, Sydney, 1812. 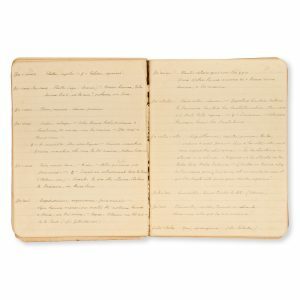 [MISSIONS; NEW GUINEA] Dictionnaire Roro-Français I. / Dictionnaire Roro-Français II. / Grammaire Roro. 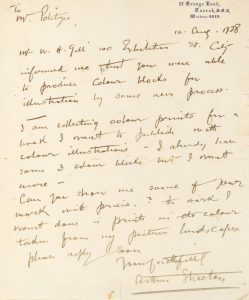 [HUNTER VALLEY; DARLING DOWNS] Letter from clergyman and colonial artist Rev. 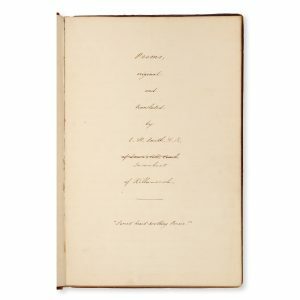 William Woodman Dove, to his sister in Gloucestershire. Sydney, 1857. 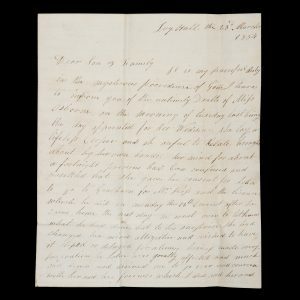 A suicide on the morning of her wedding : Isabella Osborne, of Yackandandah, northeast Victoria, hangs herself at Sutton Forest, Southern Highlands, New South Wales, on 21 March 1854. 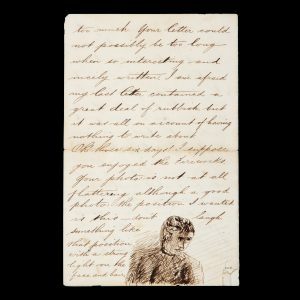 Handwritten invitation to Miss Cutler from Miss Hore to attend her birthday party, to be held at Mrs. Kells’, George Street, Parramatta, on May 8 [1858?]. “Dancing commences at 7. Private entrance”. 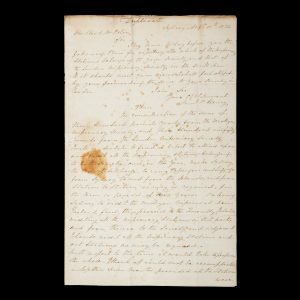 “Early life in Australia”, 1840 to 1889. 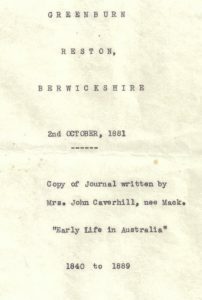 Copy of journal written by Mrs. John Caverhill, née Mack. 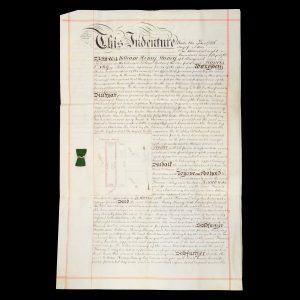 Deed of conveyance between William Henry Slaney and Francis Oxley, relating to a land allotment at Footscray. Melbourne, June 1858. 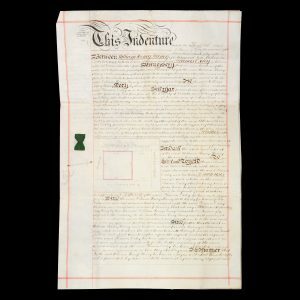 Deed of conveyance between William Henry Slaney and Francis Oxley, relating to a land allotment at Williamstown. Melbourne, June 1858. 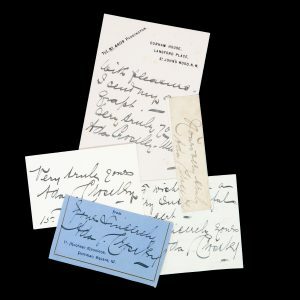 [OPERA] Australian contralto Ada Crossley : a small group of manuscript ephemera, late 1890s to early 1900s. 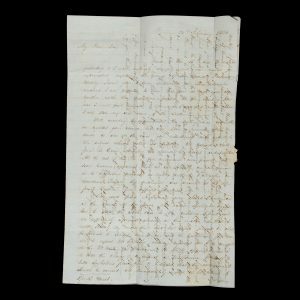 [MANUSCRIPT] Campagne de la Corvette à Voiles l’Alcméne. 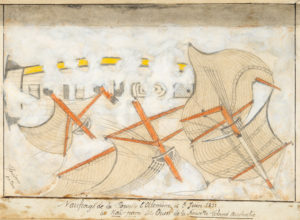 Commandée par Mr. Coudein, Capitaine de Frégate, à destination des Mers du Sud et Océanie.